We send greetings to you from Salem Covenant Church in Oakland, Nebraska, along with a question. What do Nebraska apples and Congo have in common? The answer is absolutely nothing, unless you are Cyndy Alberts, who attends Salem. Cyndy kept thinking about the Congo healthcare needs since then. One Sunday, Pastor Steve Hoden mentioned from the pulpit that the apple tree at the parsonage was having a bumper crop of apples this year and everyone was welcome to pick as many as they wanted. As Cyndy picked some apples that afternoon she was inspired to use them for Congo. She went home and made homemade apple jam and baked some bread. 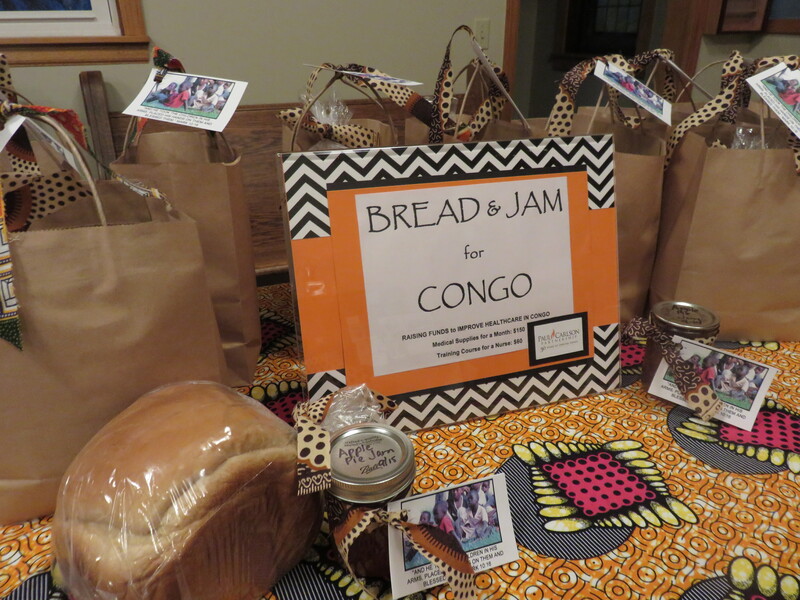 She decided to have a “Jam and Bread” fundraiser for Congo. 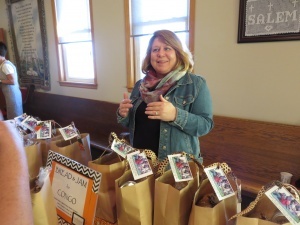 Cyndy called Kitty Hoden for a creative idea to package and market her “Jam and Bread” after church services the next Sunday. Kitty put together a beautiful display and together they shared during church about Cyndy’s burden for Congo. It was a very moving testimony, and the “Jam and Bread” fundraiser brought in $410 in just a few minutes.